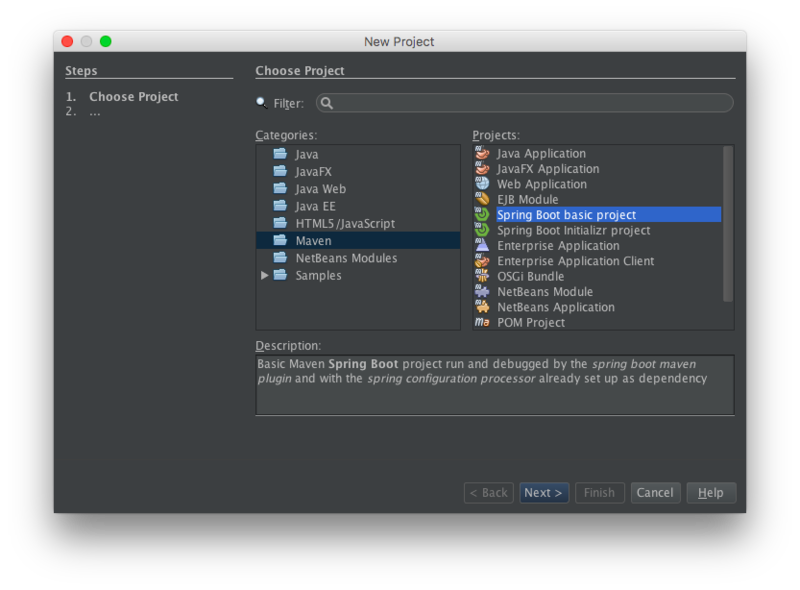 NetBeans provides some support for Spring application development, however this support can be greatly enhanced by using the NB SpringBoot plugin by Alessandro Falappa. In this article, you'll learn how to create a SpringBoot project and how to manage the Maven dependencies within it. 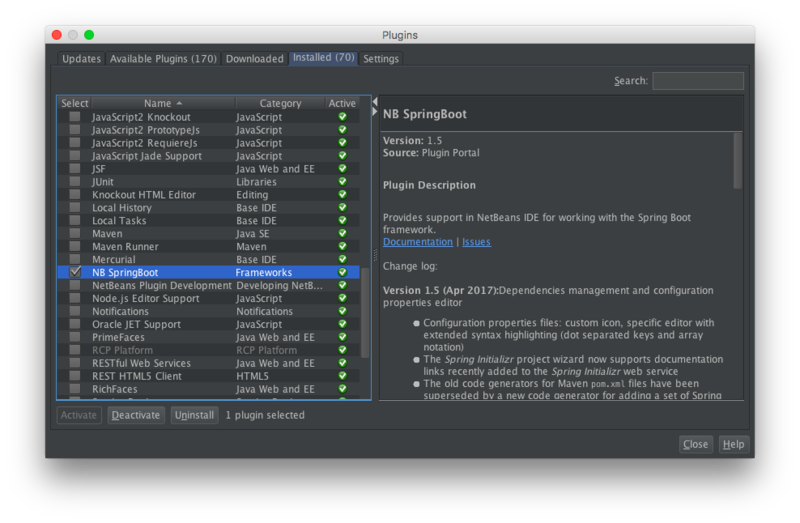 The NBSpringBoot plugin is available from the NetBeans plugin menu. 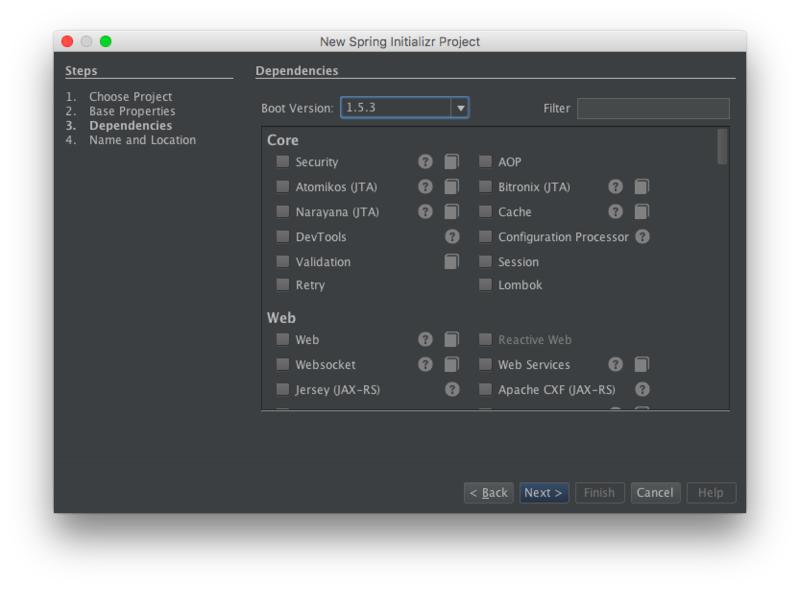 Installation is as simple as any NetBeans plugin - simply select the NB SpringBoot plugin and press the Install button. After restarting NetBeans, the plugin will be enabled. Selection the frst project type, Spring Boot basic project, simply creates an empty Maven project configured with the minimal Spring Boot starter Maven dependencies. This is useful if you want complete control and want to start completely from scratch. If, however, you want to create a project in a similar fashion to the Spring Initializr, select the second project type - Spring Boot Initializr project. After selecting the project type, NetBeans displays the standard new project screen for defining the Maven group, artifact and version etc. Continuing with the wizard however, displays the Dependencies tab where all of the different Sring Boot dependencies can be selected along with the version of Spring Boot to use within the project. As seen in the screen shot above, the majority of Spring Boot Dependencies here have a link to both the reference documentation for the dependency and a link to the development guide - excellent resources for both new and seasoned developers to the selected dependency. As with the Spring Initializr, you can filter the list of dependencies that are shown using the Filter edit box. 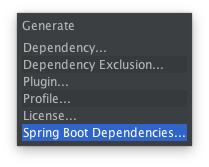 NetBeans provides excellent support for adding Maven dependencies into a project, but the NB SpringBoot takes this to the next level by allowing Spring Boot dependencies to be added using the same style interface as when creating a project. Upon selecting this, a dispay similar to that when creating the project is shown, listing all of the different Spring Boot dependencies that can be selected and added to the project. Again, filtering is available to help identify the required dependencies. As you can see, the NB SpringBoot plugin provides some excellent features to help you create and manage Maven based Spring Boot applications. The plugin provides many other features to aid Spring Boot developers which we'll cover in another article. At Develop In Java, we've been a part of the Java community for over 10 years. If there&apos;s anything you'd like us to cover, just ask ! Copyright (c) Develop In Java 2019. Made with in the UK by David Salter.